Home /Life/I’m A Kid Again! Today I spent $100 on Transformers toys! Haha! I bought Starscream, Bumblebee and Megatron, these are the ‘Classic’ remakes series. Except for Starscream, the rest have undergone major alterations from the original design in order to look more robot-like (It’s a joke to see the original Megatron and Optimus Prime toys in scawny robot mode… hahah). Bumblebee is no longer a VW Beetle and Megatron is now a silly green-and-purple toy gun! The only consolation is that in robot modes, they look great, well, as far as I can see from the box illustration. I actually don’t have a proper glass cabinet to display my toys, and it’s not as if I have a lot to show. Currently, I only have the 20th Anniversary Hasbro Optimus Prime that is simply fabulous, and a Binaltech Meister (Jazz transforming into a Mazda RX-8), plus a few Star Wars figurines. 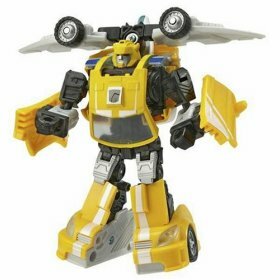 The thing about the latest Transformers is that the transformations have undergone major design breakthroughs to make both vehicle and robot mode accurately proportionate. Anyway, since I have no place to display the latest additions, I’m probably not going to open them up and just chuck them in my storeroom. It’ll be nice to open them up to do some transformation, but well, I’m not particularly eager to try it out (I’m more concerned with my crashed backup PC). Such toy purchase is really seasonal. 2 years back, I started collecting English comic books after a 10-year hiatus. I was banking on the appreciation in value for these comics with limited-edition covers and stuffs. Today, they lie stacked in my cupboard, screaming to be sold off. I must keep reminding myself that despite constant wishful thinking, such mass product will not appreciate in value. As long as demand warrants, manufacturers will keep producing until supply overruns and the retailers are forced to dump the stock at rock-bottom prices. This was what happened to Star Wars Episode I, and that’s how I got some cheap die-cast figurines at S$2.90. However, some external circumstances may temporarily create a surge of demand for certain products, resulting in price hikes. For instance, Transformers the Motion Picture will be released in July 2007, and that would be a good time to sell all these prized possessions. But Hasbro the toymaker knows better and will ensure there are enough supplies to cater for demand. So I have no intention of making quick buck for my latest purchases, but merely as a ‘completeness’ point of view. I mean, Megatron, Starscream and Bumblebee are the pivotal characters in the original Transformers! I gotta have them! And thank goodness the latest ‘Classics’ line feature great articulation and proportion in both modes. Last weekend, watch ‘Flushed Away’ (told you I’m a kid again). Liked the British humour, but my wife thought it was less entertaining than Hollywood animation like Toy Story. Next Wednesday going to watch ‘Happy Feet’, thanks to complimentary tickets.